In industry, a growing trend is the idea to use orbital welding as a solution to the mounting problem of welder shortages. 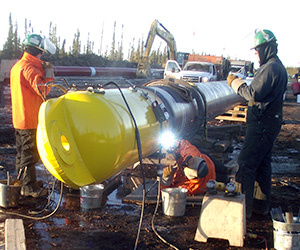 It is a well-known fact there are just not enough pipeline welders to go around (no pun intended). By 2020, the American Welding Society expects the U.S. will face a shortage of 290,000 welders. Companies in other business sectors — from food service companies to banks — attempt to solve labor issues and increase efficiencies by utilizing automation to replace workers. Is automation, specifically orbital welding in this case, the way to improve operating factors and productivity? The first part of improving welding operations is not to look at the welding process but instead examine its upstream aspect at material input. Material fit-up is the first key to improving quality and productivity. Poor fit-up causes overwelding and often leads to weld quality issues. A fillet weld that requires a quarter-inch weld has an unintentional root opening or misalignment of 1/16 inches. It then requires a 5/16-inch weld, which in turn increases weld joint volume by 57 percent. This result means 57-percent more wire, 57-percent more gas, 57-percent more use of consumables and — the most costly issue — 57-percent more time to weld that joint. Let’s say that same 5/16-inch weld is then welded within tolerances, but the weld size is overwelded by 1/16 inch. That 5/16-inch weld then becomes a 3/8-inch one due to the compounding factors of material fit-up and a very common practice of overwelding. This weld that could have been done to code and adheres to a welding procedure is now 100-per-cent more costly then intended. Are you buying double the gas and wire you need? Eighty-percent of most welding operating expenses are in labor. What are you paying to have someone weld 100-percent more than what is needed? What is paramount is we can create precision fit-up and limit overwelding with the use of end-prep and orbital welding. Regardless of welder skill or the type of welding equipment, starting a weld with poor fit-up will result in a weld that costs more to produce. The conversation about quality, productivity and efficiency should not start at orbital welding or about your welder’s skills but should instead begin at end-prep. End-prep equipment, simple to operate and often overlooked because of its necessity, offers machine shop-like precision and fit-up while in the field. With the unfortunate skill gap widening in the trades, it is imperative to start your pipe or tube welding with precise fit-up, as those who can make passable welds become fewer and fewer. We aren’t replacing welders with automation; we are making them more efficient. The goal is to take the welder you have and select the proper end-prep and orbital welding process for your job so you can possibly create twice as much time for him or her and improve quality along the way. In order to meet the rising challenge of the lack of qualified welders, we need owners and management as well as welders to come together to increase quality and productivity. Management needs to provide welders with good material and proper equipment to work with, and the welder needs to realize we aren’t attempting to take his or her job but instead attempting to give him or her the best tools to get the best result. When you look for a company to fulfill your business’ welding needs, you should search out a supplier that offers more than just equipment. 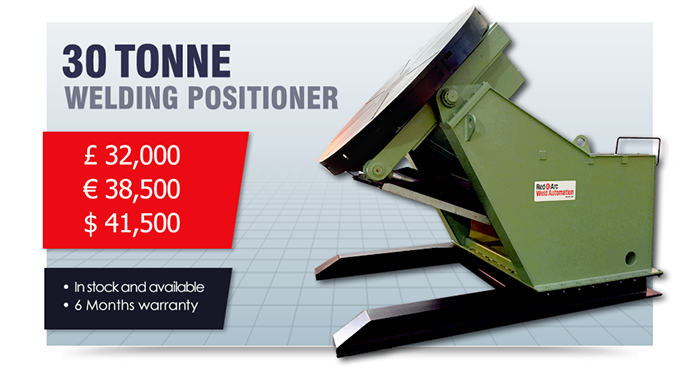 Find a supplier that offers not just a few options of welders but solutions. For more information, visit www.red-d-arc.com, call (866) 733-3272 or email Brian Imhulse at Brian.Imhulse@airgas.com. Most people who have been in a technical profession know the constant need for a variety of tools. One minute you may need a pliers, then a knife, then a file, then a screwdriver, and once the day is all done, a bottle opener. This is the reason why multi-tools have become so popular; they combine all of these tools into one. In the world of welding, there is something similar to a multi-tool. It is known as a multi-process welder. Red-D-Arc carries multi-process welders because we know that one minute you might be self-shielded flux core welding some dirty, ½” thick steel and then the next minute be fitting up 18 gauge aluminum that you need to gas tungsten arc weld. Red-D-Arc provides a wide variety of multi-process power sources to suit many customer needs. 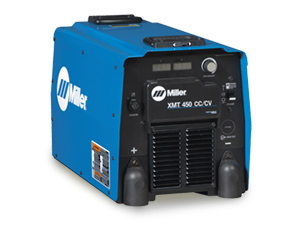 The Miller XMT is a type of multi-process welder that Red-D-Arc carries. All XMT variations provide the capability to MIG, TIG, flux core, and stick weld. The Field Pro series also possesses Miller’s proprietary pulse waveform known as Regulated Metal Deposition (RMD). This is a pulsed short arc MIG welding process that is excellent at bridging wide gaps that can result from poor fit-up. Red-D-Arc is aware that multi-process welders aren’t always operated in ideal conditions. Extreme heat and environments with high amounts of dust can destroy welding power sources. That is why Red-D-Arc provides the EX360. The “EX” is for extreme, because this power source can handle extreme conditions. If protection from dust and heat are a concern while using multiple welding processes, the EX360 may be your solution. The EX360, as well as several other multi-process welders offered by Red-D-Arc, are available in four-pack and six-pack configurations to enable increased productivity. Submerged arc welding is an excellent process to achieve high deposition rates, and Red-D-Arc has them. However, some applications require additional welding processes besides just submerged arc welding. When this is the case, Red-D-Arc also has multi-process submerged arc welding machines. The DC1000, for instance, provides end users with the ability to not only submerged arc weld, but also provides stick, MIG, and flux cored arc welding capabilities. For additional information on Red-D-Arc’s multi-process welding product offerings, visit our multi-process welder page. 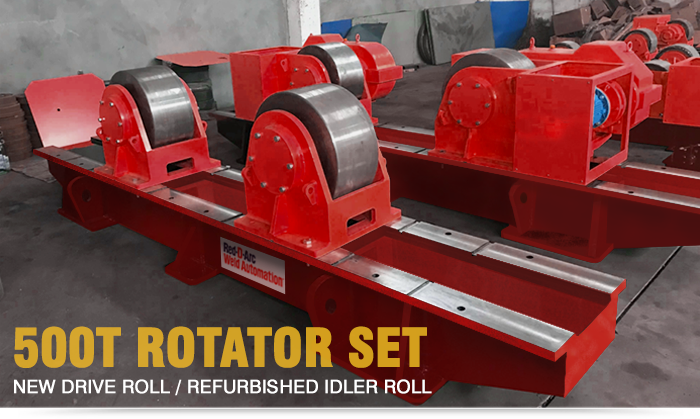 We are currently offering 2 sets of completely refurbished welding rotators (500 Tonne). Contact your local Red-D-Arc branch for more information. Stainless steel contains a minimum of 10.5% chromium which imparts it corrosion resistance by forming an oxide layer on the surface. The most common stainless steel is the austenitic type (300 series) which contains chromium and nickel as alloying elements. Other types include ferritic, martensitic and duplex stainless steels. Most stainless steels are considered to have good weldability characteristics. Most common processes used for welding stainless steel are TIG (GTAW) and MIG (GMAW). 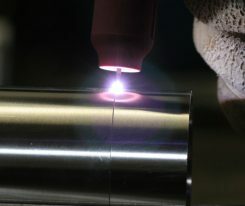 But, stick welding (SMAW) is also utilized. Welding of stainless steel is carried out in a work area segregated from carbon steels. Moreover, tools dedicated for use with stainless steel must not be used to work on carbon steels. These tools include brushes, hammers, clamps, grinders etc. The segregation of work area and tools safeguard the contamination from carbon steels, which may cause welding defects and corrosion (rust) on stainless steel. You must also wear gloves when working with stainless steel as this will prevent oil from the hands passed onto the stainless steel. With stainless steel, it is important that the joint surfaces are thoroughly cleaned before welding to remove any dirt, grease, oil etc. The filler wire also needs to be completely clean. Additionally, the joint design including the joint gap must cater to the higher expansion rate of stainless steels. Filler materials used generally are the same as the base metal. Special considerations are required to select a filler material if welding dissimilar stainless steels or stainless steels where no identical filler material exists. Furthermore, filler materials are selected to reduce the risk of intergranular corrosion and hot cracking. It is essential to protect the weld during welding using a mainly inert gas. Additionally, the weld root needs to be purged using a pure inert gas. When welding austenitic stainless steels, it is important to restrict the heat input to a level which is just sufficient to ensure a good weld. The interpass temperature is limited to 350 F. Preheating is not carried out on austenitic stainless steels. Very low carbon grades (suffixed with L e.g. 304L, 316L) are used to prevent the formation of chromium carbides in the heat affected zones which causes intergranular corrosion. Martensitic stainless steels are generally used as wear resistant materials in overlaying applications. To avoid cracking, accurate preheat needs to be applied and a minimum interpass temperature maintained. Ferritic stainless steels are used mostly in automotive applications. The heat input in these steels during welding needs to be limited, and a maximum interpass temperature of 300 F is recommended. This will ensure that the grain growth in the material is controlled and the strength is maintained. With duplex stainless steels, the heat input also needs to be restricted. Stainless steel welds must be cleaned and passivated after completion to ensure corrosion resistance and good appearance. This is performed manually by mechanical (brushing, grinding, blasting), chemical (applying pickling agents and other chemicals) or electrochemical means. Have a look at our complete range of welding products.